If you want to expand your business overseas, the Invest NI Graduate to Export programme can provide the support to achieve this growth. 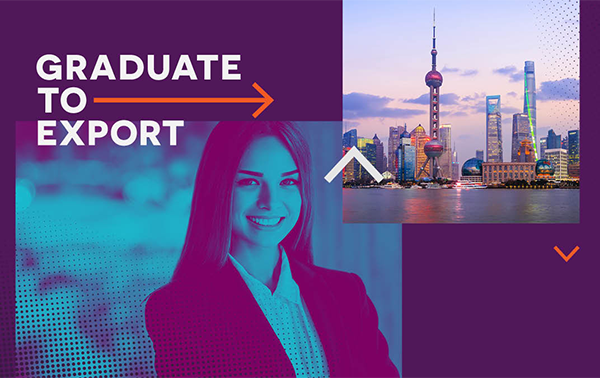 The Graduate to Export programme aims to help companies with their ambitious growth plans by providing financial support to employ a graduate for 18 months to take forward a market research project that targets a specific market outside Northern Ireland. Graduates spend the first six months of the programme in Northern Ireland getting to know your business and starting the training programme. The following 12 months are spent in the export market undertaking the market research project with full support from your company, along with academic and company mentors. How it will benefit your company? Find out more and apply for the Graduate to Export programme.